Plus, these stuffing muffins are chock full of apples and celery, which add some crunchiness and sweetness to the savory goodness. And, as an added bonus, they're easy to make and lean a bit to the healthy side, coming originally from the talented folks at Cooking Light. And we could all stand a few more healthy-ish, easy recipes for the holidays. As I'm writing this, I just had another thought: I want to make these again and add in some cooked sausage to make it a little Muffin Meal. How adorbs would THAT be?!!! So, stuffing or dressing? And what's new on your Thanksgiving menu this year? Leave a comment: The Ninj wants to know. 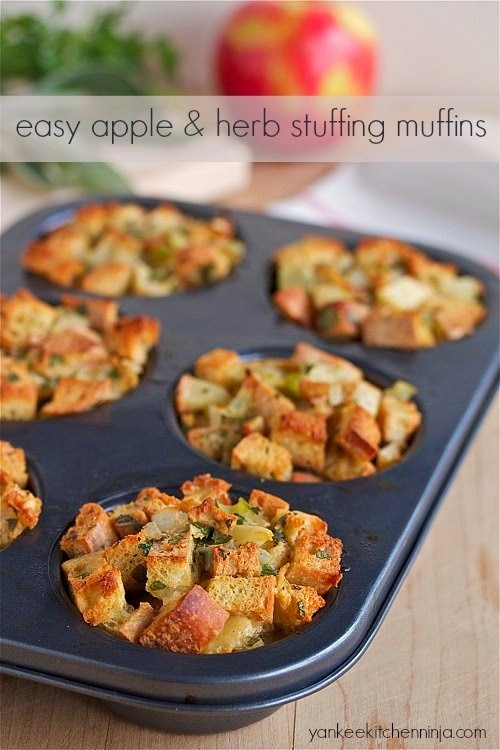 Note: The stuffing muffins hold together best when baked in larger-sized muffin tins or mini loaf tins. Place the bread cubes on a baking sheet and toast (about 20 minutes), stirring once. 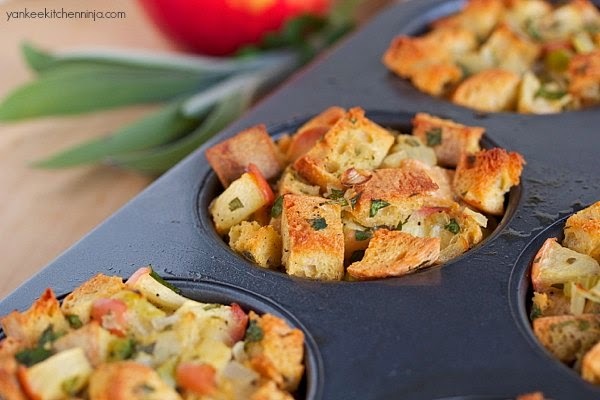 Transfer the toasted cubes to a large bowl. Keep the oven on. Heat the butter in a large pan. Add the apple, onion, celery, sage, salt and pepper and cook for about 5 minutes or until everything begins to soften slightly. Add this mixture and the parsley to the bowl of bread and stir to combine. In a separate, smaller bowl, whisk the eggs and broth together, then add to the bread mixture. Stir to combine again. Spoon the mixture into prepared cups of a muffin tin. Bake for about 20-23 minutes or until the bread cubes are browned on the edges. I just adore stuffing, and these little individual servings are super cute. And the apple sounds great! This is genius! I will be using this idea this year for my T-day at The Farm. 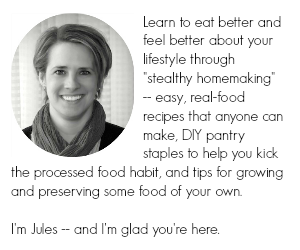 Kudos to you, my Ninja friend ! Happy to help you add something new to your T-Day table, Jeff!